The stitch pattern is a 4 row repeat. RT= right twist knit 2 stitches together and without taking the stitches off the needle knit the first stitch again and then slip the stitches off the needle. For more guidance on how to knit the RT, visit the blog here. You can also sign up for classes whether you’re a complete beginner or haven’t picked up a pair of needles for a long time - Camilla is ready to help! 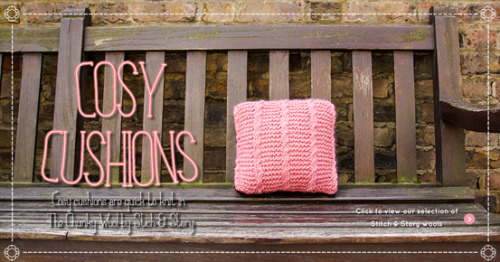 Book your class here and you’ll have a cozy cushion before you know it.